Today is International Right to Know Day! 2016 is also the 250th anniversary of Freedom of Information and we’ve been marking these two facts all week with insights from journalists who have used FOI in their work. Here’s Katalin Erdélyi, a journalist who works with Atlatszo.hu. That’s the news service that’s closely affiliated to Alaveteli site KiMitTud. We began by asking Katalin to tell us about a memorable story that had been written with the aid of FOI. The Museum of the Fine Arts in Budapest lent 10 antique paintings to a company tied to the PM’s personal advisor Arpad Habony. The value of the paintings was HUF 400 million (~ GB £1.06 million) but the company paid only HUF 150,000 (~ GB £400) per month for them, and they hadn’t insured the paintings either. We filed a lawsuit because the museum refused my request to publish information on where the paintings were. After a year and a half in court we won the case, and the museum had to publish the information that during the whole lending period the paintings were in a private apartment where the PM’s advisor is a frequent visitor. After my article was published the Minister of Culture issued a written notice to the director of the museum because he hadn’t asked for his permission for the loan. The director of the museum later admitted he was on friendly terms with the PM’s advisor. He was the best man at Habony’s wedding which was held at the museum. Habony wasn’t charged any rental fees. What’s the significance of FOI in your opinion? Freedom of Information is important because citizens have the right to know what, why, how and at what costs are things happening in the country where they live and work. The state spends their taxes, therefore it is right to expect it to operate in a transparent way. And if someone knows they can be checked up on at any time, they will pay attention to what they do. The right to information is a foundation of democracy, a check on power, and it pays an important role in fighting illegal activities and corruption. What has Freedom of Information meant to you, as a journalist? FOI is very important for investigative journalism. If contracts of public spending weren’t open to public, many corruption cases would never be revealed. The Hungarian government has amended the FOI law several times in the past few years, and always in the negative direction. Each time they limit the data that falls under the scope of the FOI Act, so that they can keep dubious affairs secret. This causes the risk of corruption to rise even higher, and our work has become even more challenging. When the right to information is wide, and public spending is transparent, it’s much easier to notice suspicious cases. 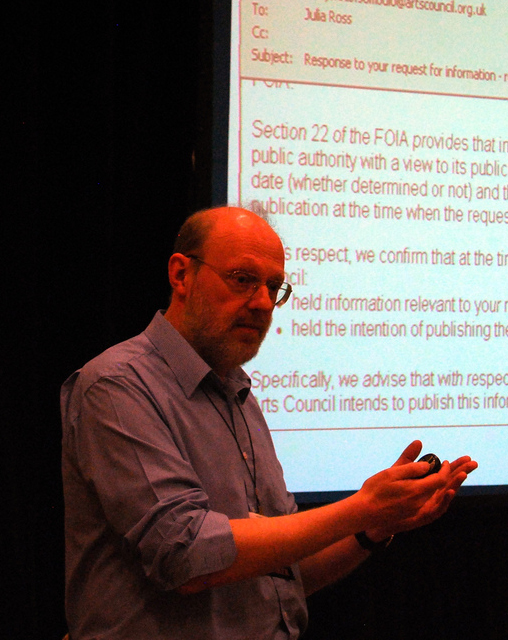 Do you consider FOI to be a vital tool for the future? It’s very important to apply FOI in as many places and as widely as possible. If there’s no FOI, there’s no democracy. If we let political interests become more important than FOI we will end up in a dictatorship. The task and interest of the non-governmental organisations is to check on power, and this is only possible with freedom of information. We have to stand up for it everywhere, every time. Read the next installment to learn how a journalist in Croatia has used FOI. If you’re a journalist yourself, you might be interested in our latest project. But don’t forget, FOI isn’t just for journalists: anyone can make their own requests for information at WhatDoTheyKnow.com. All this week, we’ll be celebrating International Right to Know Day and the 250th anniversary of Freedom of Information with some insights from journalists who have used FOI in their work. Today we hear from Martin Rosenbaum, the BBC’s Freedom of Information specialist. 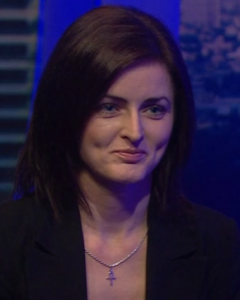 Since 2005 I and my colleagues in the BBC have used FOI as the foundation for certainly hundreds and hundreds, possibly thousands, of news stories and investigations at national and regional levels, across a wide range of topics — health, education, policing, environment, transport, foreign policy, and so on. This has included revelations on important issues from staff shortages in A&E departments to how officials wrongly dismissed predictions about levels of Eastern European immigration, from which makes of cars are most likely to fail MOT tests to the numbers of parents withdrawing their children from schools, from the cost of policing football games to the identities of individuals who have turned down honours. Journalism is based on asking people questions, but of course much of the time there’s no guarantee you will actually get them answered. Freedom of information is a rare and valuable tool because it provides a legal right to some information — a right that can be enforced when necessary by independent bodies, the Information Commissioner and the Information Rights Tribunal. And that means FOI provides the power to obtain certain material in the public interest that otherwise could not be squeezed out of reluctant public authorities. FOI has made a crucial difference to what the media can find out and what the public knows about what central and local government and the public sector is doing. Read the next post to learn how FOI has been used by journalists in Hungary. But don’t forget, FOI isn’t just for journalists: you can make your own requests for information at WhatDoTheyKnow.com. Is there anything you’d like to know from the Spanish authorities? In advance of International Right To Know Day, three organisations are collaborating to make the process of submitting an FOI request in Spain a little bit easier. Access Info Europe, Civio Foundation and the Transparency Council of Spain are calling it “an access to information requests marathon”, and their aim is to help people navigate the tedious process of requesting information from Spanish public authorities. As explained in this article by Access Info Europe, the Spanish Government has established a very complicated system for filing access to information requests. This includes the requirement to log in to a government-run portal using an electronic certificate or digital identification in order to request information. These certificates and IDs are not easy to obtain. This, and the unwillingness of Spanish authorities to accept information requests via email, led to Civio Foundation and Access Info Europe shutting down their Alaveteli request site, TuDerechoASaber (YourRightToKnow) in December 2015 in protest. You can read more about why they did this here. But they still believe that citizens everywhere should be able to request the information they require. In order to help people who don’t have the required electronic certificate or digital identification, Access Info Europe, Civio and the Transparency Council of Spain will use their own electronic certificates to file requests on users’ behalf. Email ctbg@consejodetransparencia.es (Council of Transparency and Good Governance) or contacto@tuderechoasaber.es (Access info Europe and Civio Foundation). Do let us know what you ask — we’d love to hear.